1) Old School Way. Fill in a lead form on some other site and within a few days a local agent will call. They may have been trained to use various appointment setting scripts to attempt to set up a face-to-face meeting at your home. While some agents are highly professional, others have been trained to use high-pressure sales methods to eliminate your objections one-by-one, and get you to buy a policy and put down a deposit check on the very first meeting. It’s not unethical or illegal, but as a client, you may feel uncomfortable with such a hastened process. After all, your agent needs to get back on the road to other appointments and sales opportunities. When you buy Long Term Care Insurance online, it doesn’t have to be the old school way. 2) Our Long Term Care Insurance online buying process is the complete opposite. 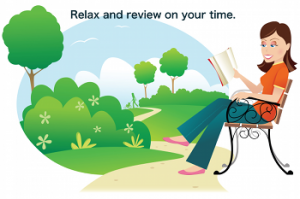 We will mail you the quotes from the tops 5-6 blue-chip carriers and give as much time as you need so that you can relax and judge for yourself if Long Term Care Insurance is right for you. 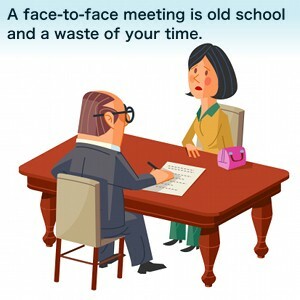 No old school meetings or in-home visits. It’s all about education and informed buying. You may leave our site and go to another. Just remember that many other websites are simply lead generating farms where the leads may be sold to hungry agents. They will almost certainly want to come visit you. We are agents licensed in every state, and will be more than happy to mail you the quotes and information so that you can take as much time as you like to think about and study your options in out patented LTC Tree Green Binder. Before you complete any other web forms for quotes, ask yourself if you really want an agent sitting at your kitchen table asking you to write a check for LTC insurance that same day on a plan you haven’t fully researched. It doesn’t have to be that way. Watch the video below to learn about our simple process on how to buy Long Term Care Insurance online with us. 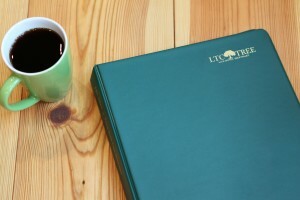 Here are a few ways you save money with LTC Tree and our friendly mail and online sales approach. 1) No “7-Step Sales Process” Here. Before a traditional agent meets with you, they probably have been trained to take away your objections to not buying from them that day. It’s methodical; one objection at a time. Either way, you will find the presentation time consuming (2-3 hours on average) and at times embarrassing to go through when your sensitive health history is often used against you in attempt to get you to buy the same day. Since you have found us on the Internet you are probably a more sophisticated buyer than the norm so you may, along with our most of our clients, find that archaic approach unnecessary. 2) Buy the correct amount of coverage. The LTC Tree Long Term Care Insurance online buying process is efficient and with efficiency comes keeping our costs down. Since we do not have to spend 2-4 hours round trip physically driving out to your home to meet you we have no incentive to sell you more insurance than you need. Most agents in the business do the right thing and always act in the clients best interest, but human nature for some agents might lead an agent who just drove 100 miles to visit you to sell you a bit more coverage than you need. For example, there are a variety of “riders” that can be added to your policy, driving up the cost. You very well may not want these options. At LTC Tree we focus on what you actually need from a policy in order to remove the catastrophic risk of needing extended long term care. This can save you money, and our agents really dig in to help you find the balance between too much and too little coverage. 3) Less Bells. Less Whistles. Lower Premium. If you’ve spent any amount of time researching Long Term Care Insurance policies you know that the offerings can seem confusing. A lot of the “features” that make these policies so confusing are unnecessary for most clients, and in fact cost you money. Our agents can help remove these options and scale back coverage to the appropriate levels. We take an approach similar to Dave Ramsey – insure your risk but don’t be insurance poor. We always remind our clients that there is a good chance you will buy this insurance and never use it, so again finding the balance between too much insurance and too little is key. Your doctor certifies your need for Long Term Care. You call your insurance carrier’s home office at their 800 number. A few days later, a nurse or geriatric specialist from the insurance company will knock on your door to meet with you and help you fill out the claims paperwork. As your sales agent, it’s our job to assist you with the purchase of this important coverage, and to find the right company and plan. When it comes time to make claims, you should get a trained health professional assisting you and the agent can help ensure the claims process is going smoothly. Plus, keep in mind this coverage is something you may not use for 20-30 years.